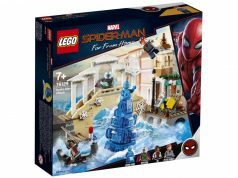 Unlike the US, the LEGO Store Calendars in other countries still show some upcoming gift-with-purchase promotions and for April, there’s a cool LEGO Marvel Super Heroes one. 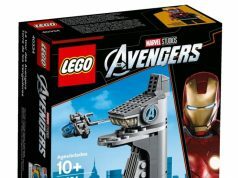 According to the Spanish LEGO Store flyer, there is a Marvel one with purchases of 79.99€ and it has been revealed to be the Avengers Tower (40334). 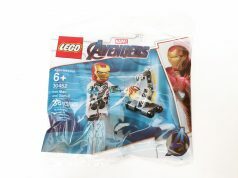 This set was accidentally put on store shelves at one of the Certified Stores and it features the Marvel Studios: The First Ten Years Avengers Tower. 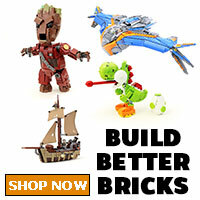 It has a microscale version of the tower along with the Quinjet as well as an exclusive Iron Man minifigure. 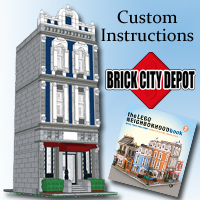 This set is similar to the LEGO Harry Potter Diagon Alley (40289) promotion that we got last year. 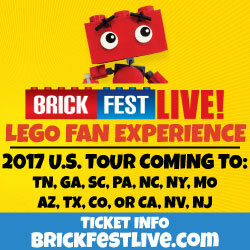 There’s no word yet on availability here in the US but we’ll get details of it some time next month which I’ll let you guys know. 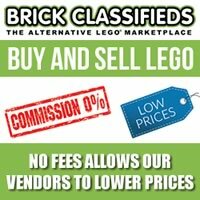 Thanks to Joey for the heads up.